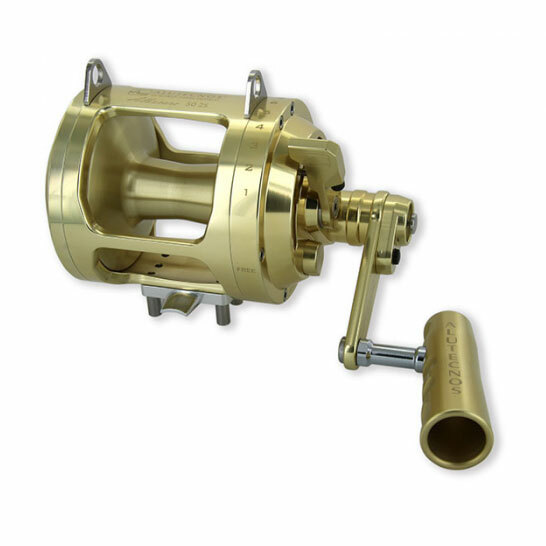 The Alutecnos Albacore Two Speed 50lb Class Big Game Reels enjoy a loyal following of anglers that tangle with big powerful fish and expect to come out on top. 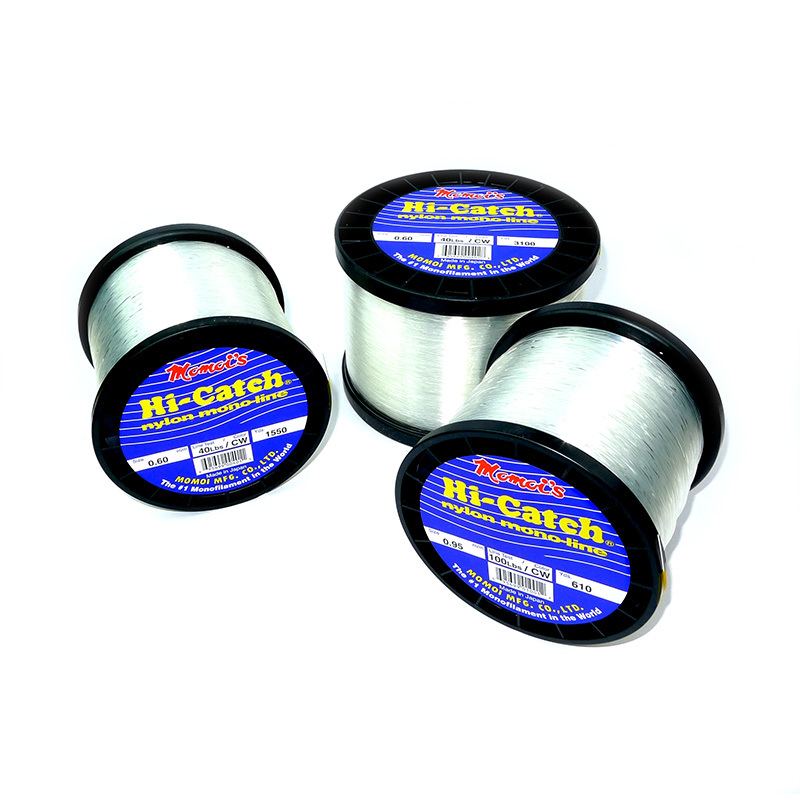 The quality of these reels is amazing - they are built to last a lifetime. 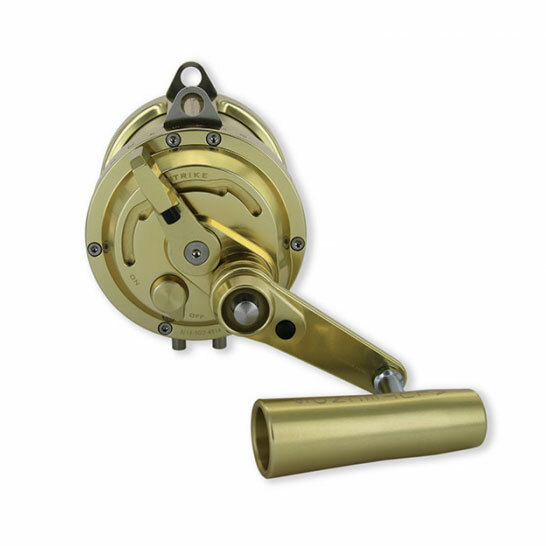 The Albacore "Two Speed" is a natural technological evolution of the "One Speed" model from which it has inherited some outstanding features that have never been used in any other two speed lever drag reels. 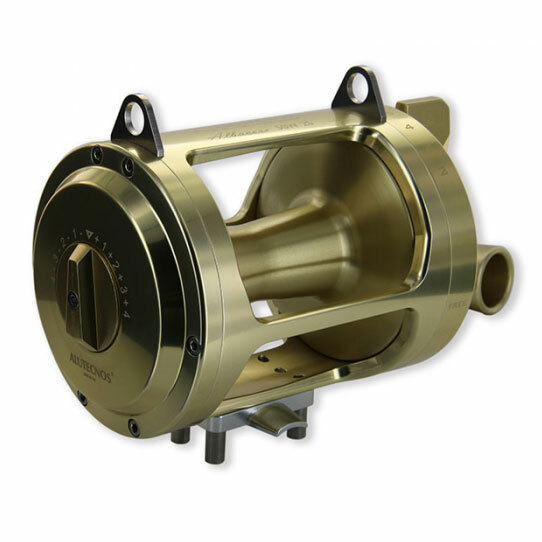 Good examples are the "infinite anti-reverse" system or the right flange made as a single component through mechanical CNC processing and applied to all models. The system used for engaging the "Two Speed" utilizes a Two-Button gear change unit making gear changes more rapid, simple and intuitive. 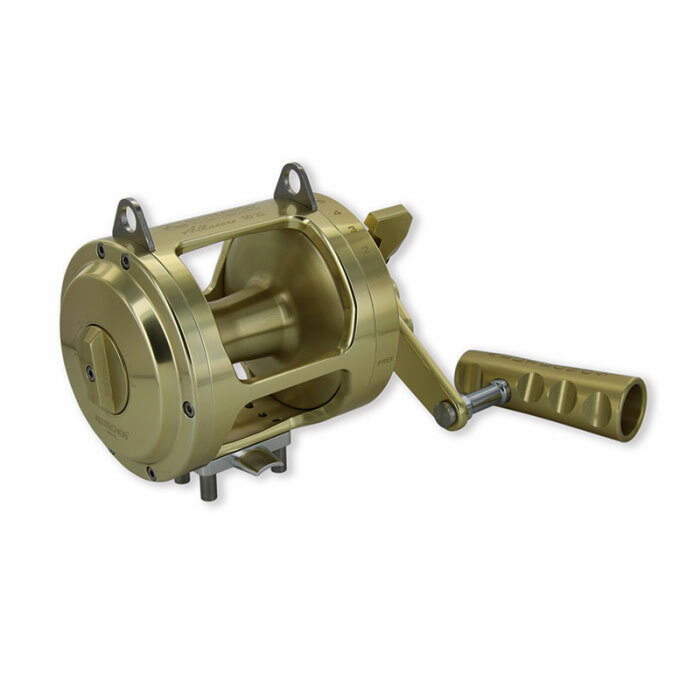 As with the one speed model, it’s equipped with five protected stainless steel bearings, stainless steel gears and a drag washer made from the latest carbon composite. 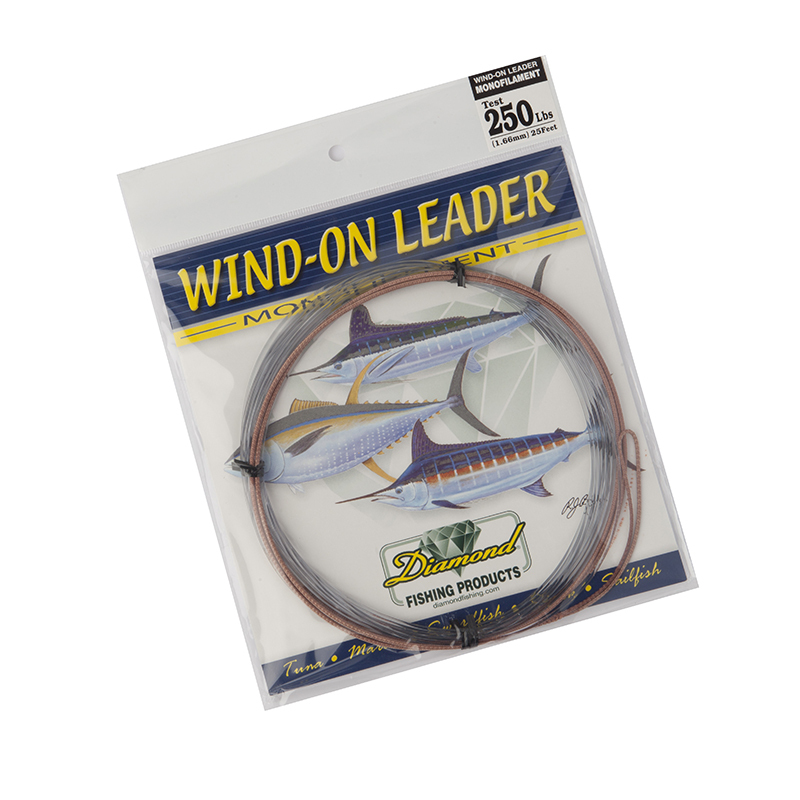 These characteristics ensure the reel will endure many long battles, whilst maintaining even, powerful braking characteristics, smooth wind and eliminating the occurrence of stick-slip. 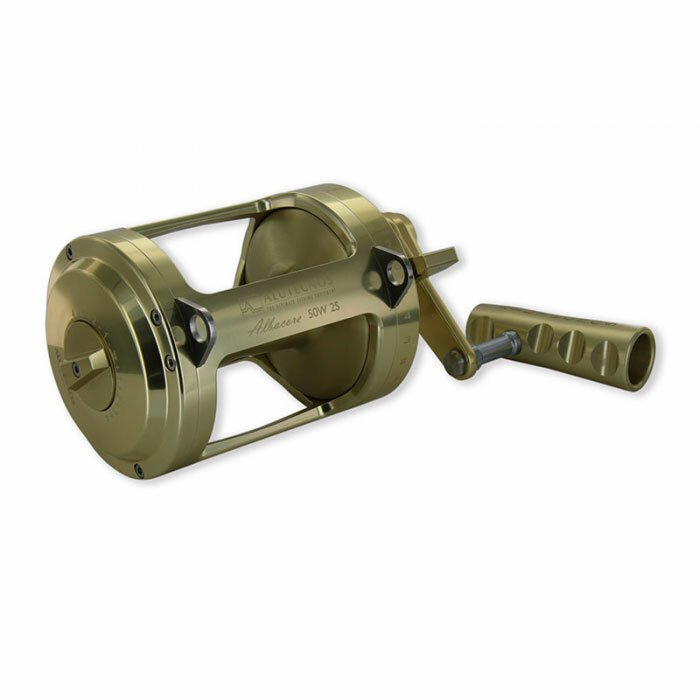 All the parts have been machined from a bar of a special aluminium alloy specifically manufactured for marine environments, using CNC working processes and subject to rigorous dimensional checks. Particular attention is paid to careful selection of raw materials and components (all of the highest quality) resulting in the manufacture of a technically perfect product. 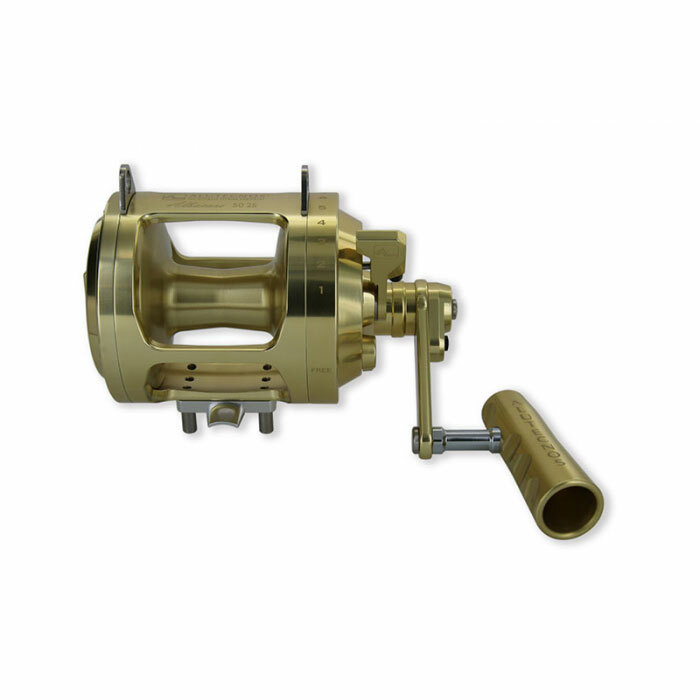 All the aluminium parts have been carefully polished, ultrasonically cleaned, buffed and provided with gold or silver anodizing. Elegant graphics are stamped onto reels using laser technologies and rendering the design indelible over time. 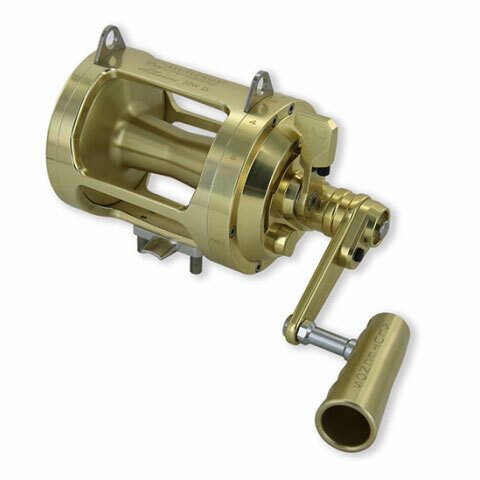 These reels come in gold as standard but they are also available in silver, blue and silver combination, and a left hand version. 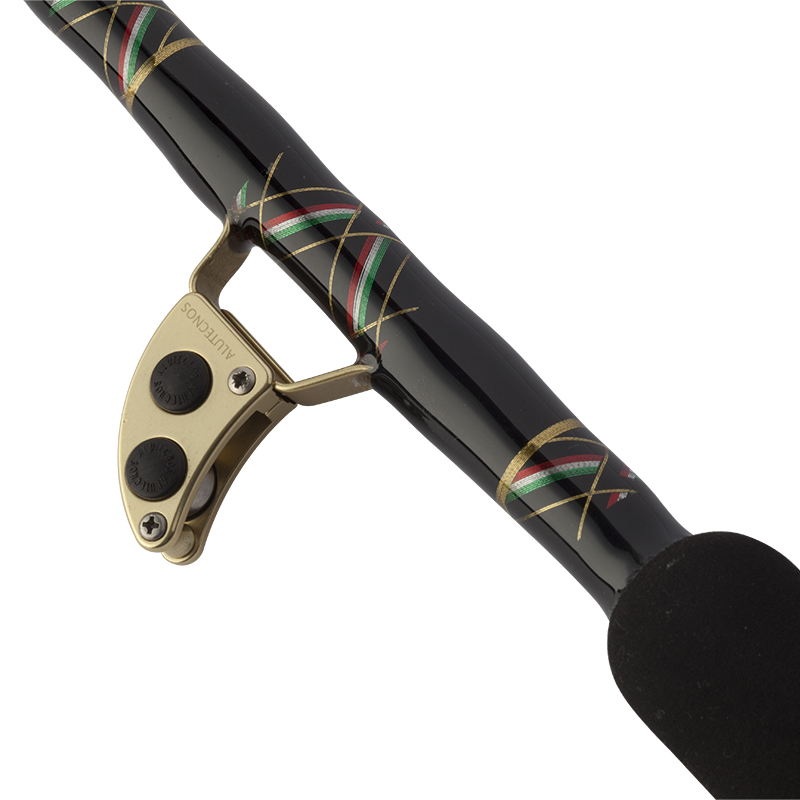 You can also have the reel laser etched with your name, your boats name or anything else that will fit!